: English (fluent), Spanish (ish) and I can read Hebrew/Ivrit. My name is Zac. 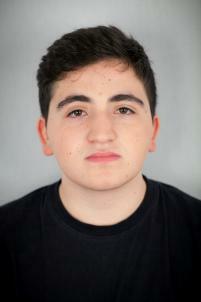 I am a young Jewish 17 year old growing up in North London. I like to play football as well as video games. I do love a good movie whether I'm watching it alone or with other people. I am studying biology, chemistry and psychology for A Level, however, I am unsure of what I want to do with that in the future. With acting though, I know that I want to do it in the future and see how everybody's hard work can turn into a masterpiece.